Ecologic Institute supported the German Environment Agency in hosting the workshop "Decarbonisation – 100 % Renewable Energy and more: Transformation pathways to a greenhouse gas neutral and resource efficient society," which took place on 17 October 2017 in Berlin. The scientific underpinning leaves no doubt: Greenhouse gas (GHG) emissions need to be drastically reduced across all economic sectors to keep global warming below 2°C. Studies across EU Member States have shown that moving towards an energy system that uses 100% renewable sources is technically and economically feasible. Since the energy sector accounts for more than 80% of GHG emissions in the EU, this is an important message for policy makers. However, effective decarbonisation strategies need to find integrated solutions across all sectors, taking into account interactions and synergies between sectors, but also with other policy areas. A transition to greenhouse gas neutral economies requires a profound restructuring of infrastructures and technologies. 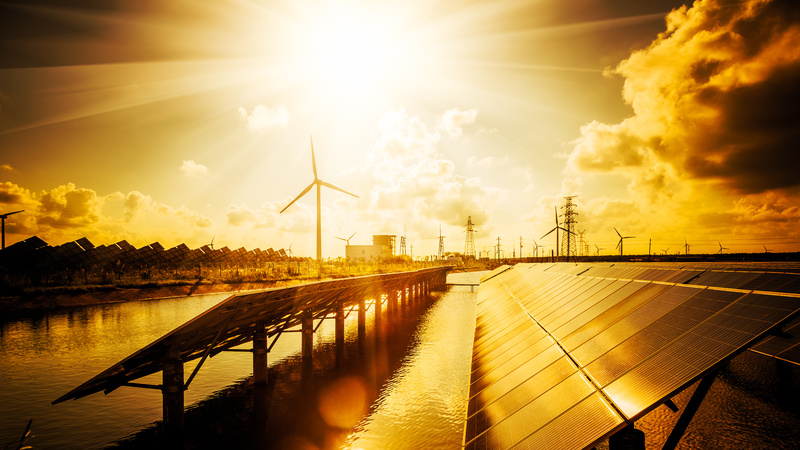 While promising significant savings of fossil fuels and associated greenhouse gas emissions, such a transition also requires huge investments in renewable energy production and storage units as well as in sustainable building concepts. Such technologies and infrastructures require certain mineral raw materials, which like Lithium or Rare Earth Elements could become economically and/or geopolitically scarce in the future. Here, resource policy can play a crucially supportive role, by increasing availability of secondary sources of needed mineral raw materials as well as by reducing GHG emissions, not only through a generally mostly lower energy demand of recycling vs. virgin material, but also through lowering virgin material demand by improving resource use efficiency and hence also potentially through reducing the energy need for extraction, transport and manufacturing of a lower material demand (if rebound effects do not get into the way). The 2017 decarbonisation workshop discussed the findings of the ongoing project “GREEN“ Germany – resource efficient and greenhouse gas neutral” in the light of international expertise and the potentials of sustainable building and infrastructure concepts, as well as identified transformation pathways to a greenhouse gas neutral and resource efficient society. Presentations and photos of the workshop can be find on the conference homepage.